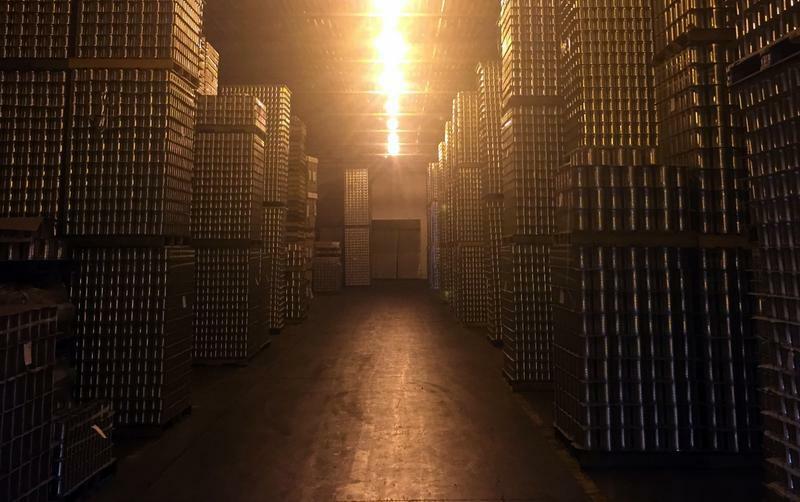 A warehouse at Burnette Foods in Elk Rapids filled with cans of cherry pie filling. Each year, in an attempt to keep the industry stable, the cherry board restricts tart cherry sales. They look at harvest estimates and decide what percentage of cherries should be allowed to sell in the traditional market – things like canned pie fillings and frozen cherries – and what percentage should be prohibited from traditional markets. Last week, the board made its initial recommendation, suggesting around a third – 31 percent – of tart cherries not go to traditional markets. “The best way to think about it is those cherries are being held off of our traditional markets but can be used for sales in other non-domestic, non-traditional markets,” says Mollie Woods, the executive director of the board. Those cherries can be exported, sold for experimentation or to make new products. “Maybe a large manufacturer might roll out a new kind of snack food or a new kind of convenience food,” says Woods. Woods says the tart cherries can also be donated to charities and a small percentage will likely be destroyed. The board will make the final call on this year’s harvest restrictions in September. The future of Michigan’s cherry industry may be tied to what happens in the courtroom. An Elk Rapids cherry processor is suing the federal government over its power to regulate the industry. The man who filed the lawsuit is encouraged by a recent decision from the U.S. Supreme Court involving raisins. Bill Sherman has run Burnette Foods with his brothers for 59 years. Way in the back of his factory are rows of pallets, stacked floor to ceiling with thousands of cans of pie filling. It’s pie filling that Sherman can’t sell.